On October 9, Sound United announced the completion of a new project with Google that adds Google Assistant functionality to compatible Marantz models that include our HEOS IoT (Internet of Things) platform. This significant milestone means that Marantz, will be one of the first brands in the world to give consumers the flexibility to use Amazon’s Alexa, Apple’s Siri and now the Google Assistant concurrently. 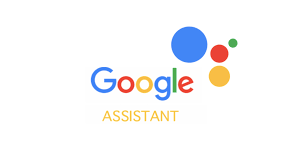 For example, you can say, “Alexa, play Three Little Birds in the living room,” then say, “Hey Siri, please turn up the volume in the living room,” followed by, “Hey Google, pause in the living room.” We can bring this capability to products already in consumers’ homes through an OTA software update, surprising loyal customers with this new, cool functionality and fortifying our message that our products will continue to stay current by continuously getting better. This first-to-market landmark is a testament to Sound United’s ongoing excellent relationship with Google, the exceptional capabilities of our engineering team and software delivery process, and our ability to bring great ideas to the market through superior technology before our competitors. We can take a moment to celebrate our ability to continually differentiate through innovation, to deliver products that are market-leading and profitable, and to set competitive standards that raise the bar for our industry.